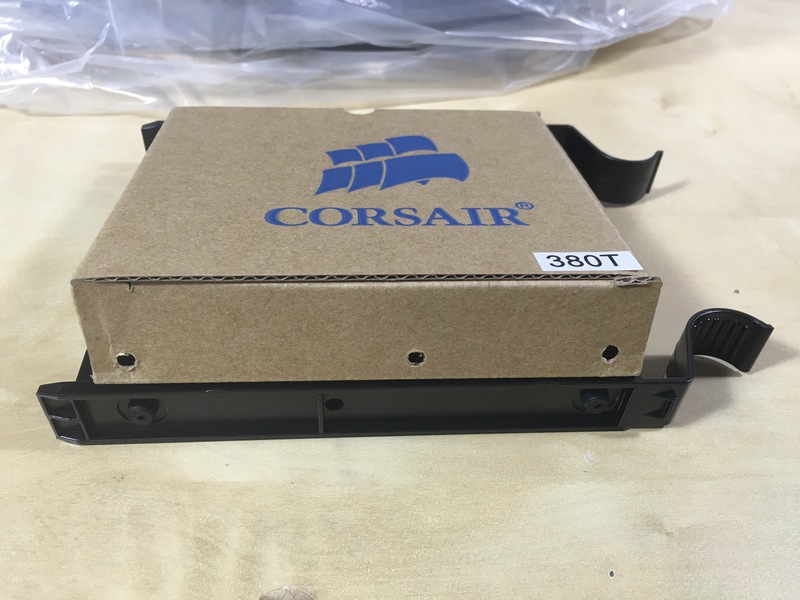 Just received my Corsair 380T and wanted to share a few thoughts. 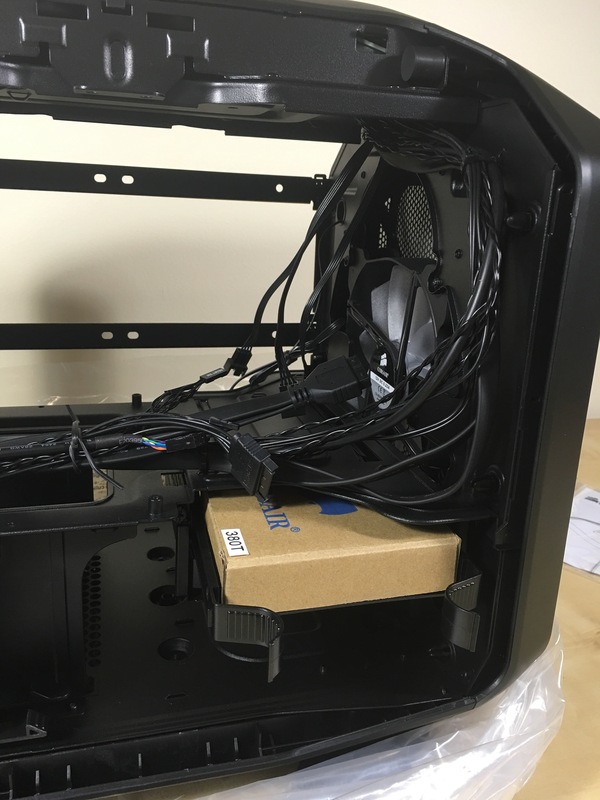 First of all I want to talk about Newegg’s packaging (or rather, the lack thereof) of computer cases. The last six computer cases I bought from Newegg were all shipped in their original manufacturer’s packaging. Not surprisingly the boxes were all somewhat damaged when they arrived. 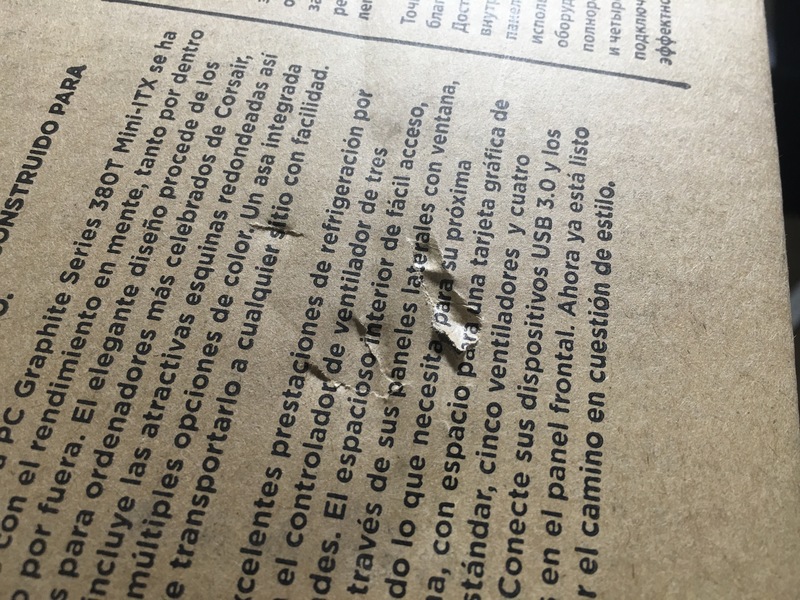 None of the cases themselves were damaged, but this is still unacceptable because I see manufacturer’s packaging a part of the product. I seldom throw away manufacturer’s packaging. As a matter of fact I find good uses of it, whether it is from a computer case or a video card. Manufacturer’s packaging is useful for storage, moving, and for selling the part. I believe that the next owner is entitled to have the original manufacturer’s packaging. You probably would not accept a processor that comes in a broken box. Why should computer cases be any different? Now back to the 380T. There are a few things that I really like, even without having built a system using this case yet. Packaging (again). Larger boxes often have cut-out on the sides that help you carry the box. 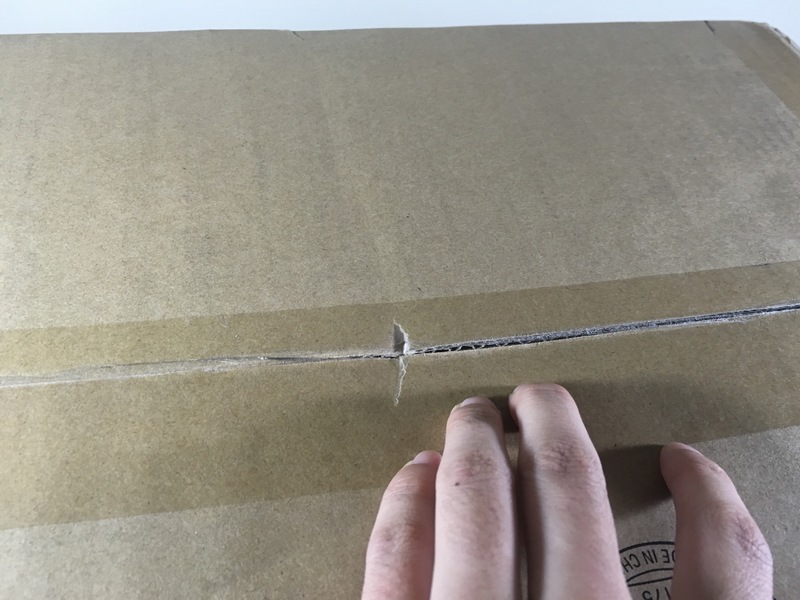 The problem is that the two little pieces/doors being cut out often get in the way when you are removing the content of the box. This is especially true for products with foam padding like monitors and cases. 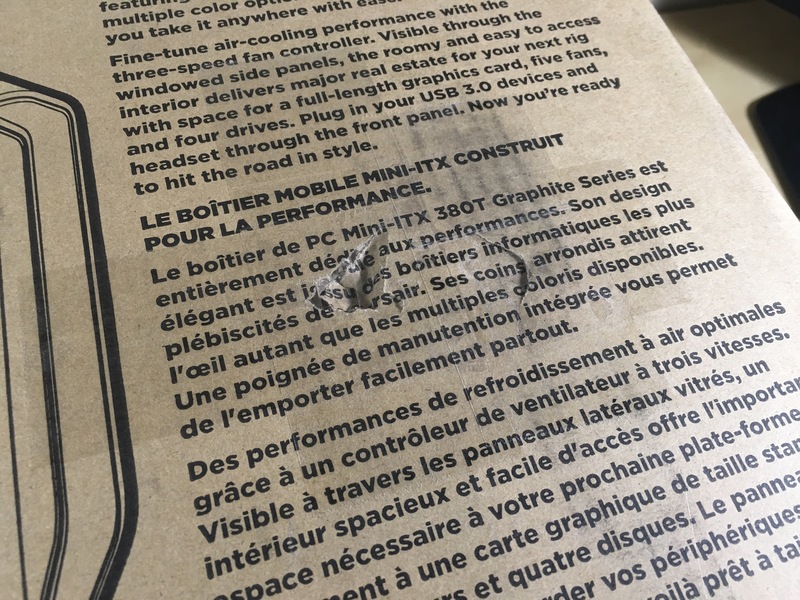 The Corsair 380T does not have cut-outs on the box. It makes carrying a little bit harder since it is quite large for a Mini-ITX case, but at least removing the case from the box is very easy. Cushioning is provided by “stratocell laminated polyethylene” foam (if I did my research right), more commonly referred to as “soft foam”. 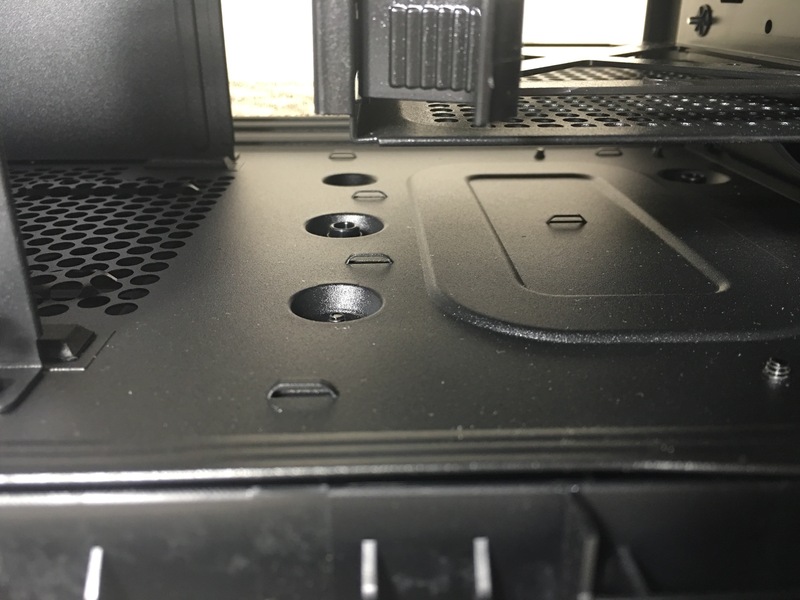 In contrast, Lian Li cases often use “hard foam”, or expanded polystyrene foam, which I find less durable and provides worse cushioning overall. Lian Li makes matters worse by using four separate, small foam pieces (e.g. on PC-TU100 and PC-Q36), unlike the 380T which uses two large foam pieces. When unboxing, I can lift the 380T out of the packaging effortlessly by grabbing the two foam pieces, something I cannot do with the aforementioned Lian Li cases. 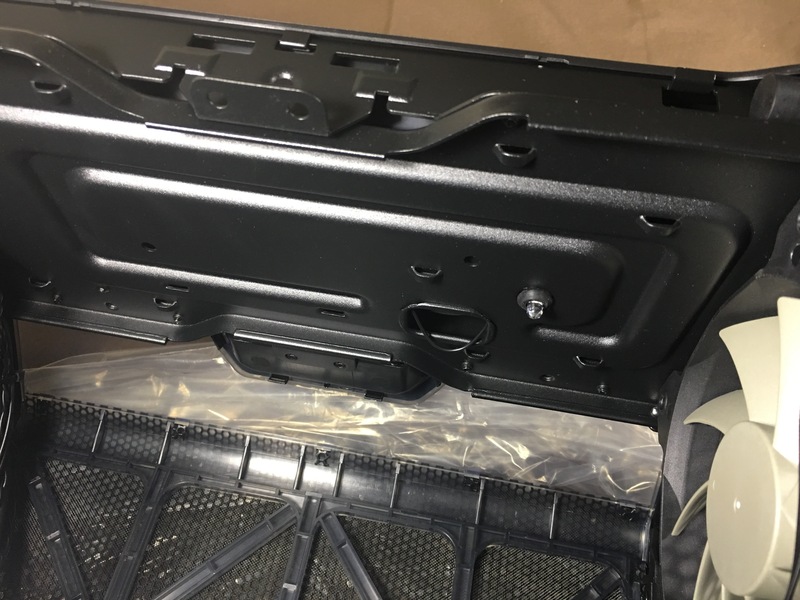 Packaging has nothing to do with the performance of a computer case, but to me it suggests that Corsair is a thoughtful company and pays attention to details. 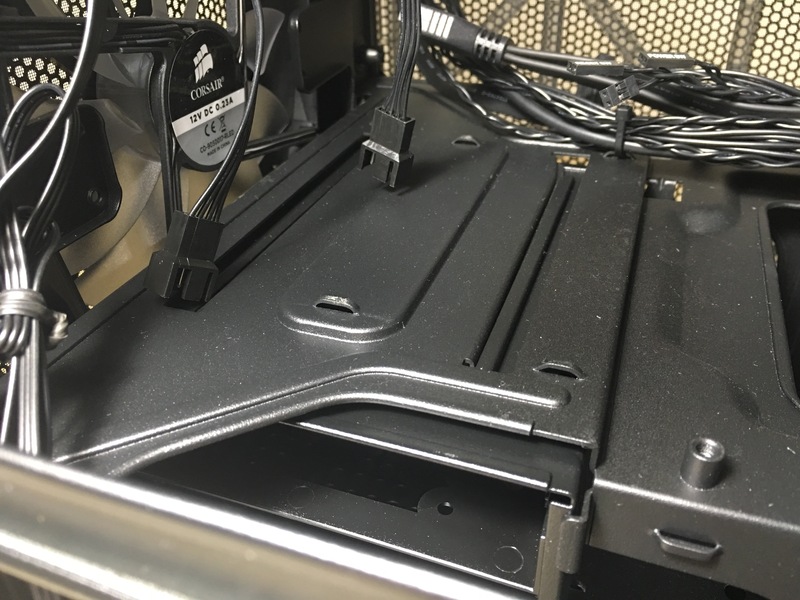 The 380T is fitted with cable management loops throughout the case, even on the ceiling. Another proof of attention to detail. Many reviewers mentioned the length of the front USB 3.0 cable. It is probably longer than necessary, but I also find it much more flexible than the front USB 3.0 cable on Lian Li cases, which certainly helps routing.